Halloween came and went, along with your diet when kids brought home bags full of chocolate. Fear not, because fat cells are exhaled during sleep, and you get an extra hour of same when Daylight Savings Time “falls back” to whatever DST isn’t. Cisco’s Partner Summer 2017, in Dallas, overflowed with information, deals, shrimp buffets, souvenir cowboy hats, meetings both loved and loathed, and some news that slipped from thought when the open bar bell rang. That said, we’re catching up on some news for Cisco et al along with tidbits from Avaya and VMware and so, so many more. 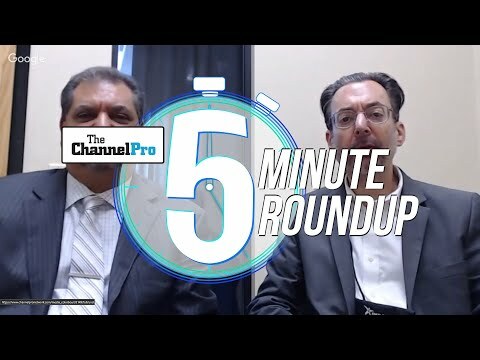 Cisco and ConnectWise and AI. 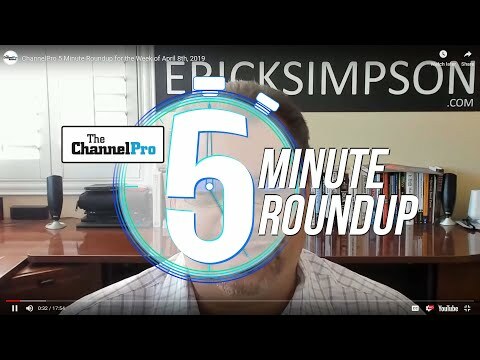 Cisco and ConnectWise, with an ever-larger Venn diagram of overlapping client populations, formally announced the ConnectWise Unite with Cisco portal. CUC (is that the initials they really wanted?) helps Cisco partners interested in starting or growing a managed services business wrap up networking, security, and collaboration services neatly. 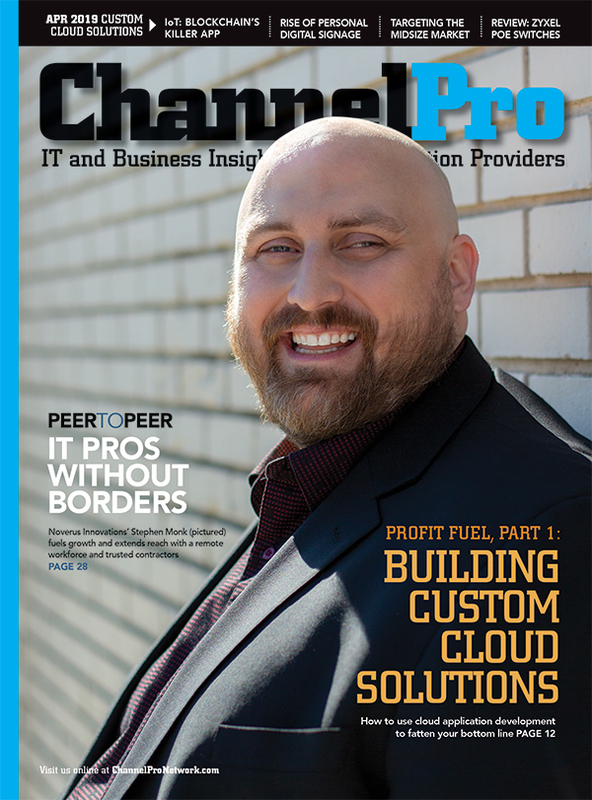 Not surprisingly, Cisco refreshed its channel program. Key changes: simplification, added support for building new capabilities, and increasing the partner value exchange. Talk to your Cisco contact about incentives (maybe more than just new t-shirts). Cue the comedians: Cisco also announced Cisco Spark Assistant, which it claims is the first AI-powered, enterprise-ready voice assistant for meetings. Sample joke: Now meetings will have more smarts in the setup than the execution. Tip your waitress. Avaya raises an AI hand. Not to be outdone, Avaya announced the A. I. Connect initiative. Focus to start is on effortless self-service, smart routing, agent augmentation, interaction insights, and enhanced workforce optimization. Sounds pretty smart. Hoping to spread the word, Avaya also announced ways to enable Avaya Edge partners to offer UC and contact center applications as cloud-based services. Does VMware + VeloCloud = VMcloud? VMware announced a definitive agreement to acquire VeloCloud Networks. The SD-WAN company should be folded into the VMware mothership by fiscal Q4 of 2018. Not yet done, but soon. Other products want some love, too. Since there’s been so little phone news lately, welcome to Samsung’s “business-first” Galaxy Note8 Enterprise Edition (pictured). Easier deployment and management, along with enhanced security, make the reason for the $994 price. This must be the most expensive phone released recently, right? Tagged as “Hangouts Meet Hardware,” Google introduced a new meeting room solution including a touchscreen controller, 4K sensor camera with 120 degree field of view, speakermic, and an ASUS Chromebox to control them all. Fujitsu and NetApp pulled the covers off the new NFLEX converged infrastructure solution. New buddies Riverbed and Zscaler rolled out better security options for clouds and networks. Now Riverbed’s SteelConnect SD-WAN solution integrates with the Zscalar cloud security platform. Monitor everything with Riverbed’s new release of its SteelCentral digital experience management platform. Atera, they of the mashup of cloud-based RMM and PSA into one program, announced enhancements and upgrades, including 24/7 app support offering real-time chat with Atera specialists. Microsemi announced its new Smart Storage SAS/SATA adapters. Data center folks should like this. Schneider Electric, makers of APC UPS systems, introduced Smart-UPS with APC SmartConnect, which it claims is the first and only cloud-enabled UPS for distributed IT systems. IOGEAR introduced a range of ultra long range wireless video products (sample pictured). The GLWR Ultra Long Range Series family supports HDMI, DVI, or VGA video connections and lets you mix and match. IBM Cloud Private software delivers cloud-native environment to private clouds. Oracle Student Management is the newest pupil in the Oracle Student Cloud suite. NETSCOUT announced nGenius PFS (Packet Flow Systems) Fabric Manager. ManageEngine unveiled an update to ServiceDesk Plus. IGEL says it Universal Desktop series UD3 thin clients now include support for the Microsoft Windows IoT Enterprise platform. CloudJumper (what a great name for a drone company) drew even closer to ProfitBricks to deploy nWorks Space WaaS Solutions within the ProfitBricks Switch Tier 5 Data Center campus in Las Vegas. Netwrix released Netwrix Auditor 9.5 with security intelligence to reduce risks and spot attackers. SignEasy, the eSignature folks, announced a suite of features for the SMB crowd. Micro Focus put out a major release of its Service Management Automation-X product. Enhancements include container-based delivery, ability to run in the public cloud, version-less configuration, and more. Adaptiva says its new Client Health endpoint security engine now includes a new Microsoft Windows 10 Security Package. Secdo’s version 5.0 includes “Behavioral Based Indicators of Compromise” designed to block malicious activities before they inflict harm. LogMeIn launched GoToStage, an on-demand video platform to help marketers. SwiftStack (shouldn’t this be a fast-food pancake house instead of a cloud data management vendor?) delivered version 5.9 of its flagship solution. Enhancements include improved public cloud compute and archiving workflows, end-user access to a multi-cloud namespace, and more. RiskIQ announced an upgrade to RiskIQ Digital Footprint to help with Europe’s General Data Protection Regulation (GDPR). Digital Defense has added “Daylight Scanning Time” to its Frontline Vulnerability Manager platform. The new feature lets administrators scan networks for security gaps during business hours without impacting performance or uptime. Other news needs some validation, too. MobileIron welcomes Greg Randolph to the company to fill the job of senior vice president of worldwide sales. Pax8 promoted Jennifer Bodell and Don Jeter (pictured) to vice president of channel and vice president of marketing respectively. TPx promoted John Lepore to director of channel sales for New York Tri-State area. Cato Networks announced that Nick Fan and Nate Grinnell joined its global sales leadership team. Even non-people announcements need validation. HP has finished gobbling up the printer business from Samsung Electronics, over a year after first announcing the $1.05 billion transaction. DigiCert has now completed its acquisition of Symantec’s Website Security and related PKI solutions. Francisco Partners, the technology-focused private equity firm, acquired a majority stake in Comodo’s certificate authority business. Right Networks, a big player in cloud-based accounting, completed the acquisition of Xcentric, a player in managed IT solutions for accounting firms. Lastline, of network-based malware detection fame, decided to go steady with Avanan, known for its one-click cloud security. Infomart Data Centers announced its Portland data center achieved LEED Platinum certification, a big deal among the eco-aware crowd. Wonder if the chips and soft drinks in the vending machines have been replaced by granola and almond milk? Like your IT management tools? You’re not alone. Persistence Market Research’s IT Service Management Tools Market: Global Industry Analysis (2012-2016) and Forecast (2017-2025) says people like them to the tune of $5 billion per year by 2025. Growth rate between this year and then? 9.3 percent CAGR. Pay special attention to configuration management tools. Chase for Business, in the recent Business Leaders Outlook report, says 29 percent of small business owners plan sell, transfer, or exit their businesses within five years. Fewer plan to increase full-time employment (27 percent, down three points from earlier in the year) and part-time as well (31 percent, down five points). Not surprisingly, biz bosses want lower taxes and reduced regulations. SolarWinds MSP has good news for those in the security business looking for new customers: 80 percent of SME businesses plan to change how they deal with security in the next 12 months. Their new report, The Path to MSSP, found a quarter of respondents want to outsource security, or to improve their internal security products. Only 10 percent of those outsourced now plan to bring security management back in house. Re-attack of the Sony Robot Dog. Who needs a real dog rescued for a few bucks from a shelter when you can have the new version of Aibo? The AI-pooch from Sony went off the market in 2006, after seven years of sales and two (needed) upgrades. Rejoice! Aibo has returned, all spiffed up with new features. Price tag? $1,740, or 198,000 yen. One feature? Aibo can take pictures of everything it experiences and then compile a scrapbook of loving owner interactions. Or, perhaps, photos of owners looking at phones and ignoring the robo-mutt. Who is this perfect for? Silicon Valley startup millennials flush with exit cash but no friends. Of course, even a robot dog needs more care than any such people probably have time to give. This just in: New Silicon Valley Aibo eDog walking service being funded by Anything Goes! VC partners should go to IPO in six weeks for $47.50 (benchmark estimate).